There is no such thing as a standard CBD dose that will work for everyone. Metabolism, age, weight, diet, and levels of discomfort all play a part in determining how much to take. For beginners, it’s always best to start with a low serving and work your way up. Some people prefer taking small amounts as needed throughout the day instead of one large dose. Figuring out how many milligrams would work best for your body may take some time with trial and error, so remember to be patient and consistent. 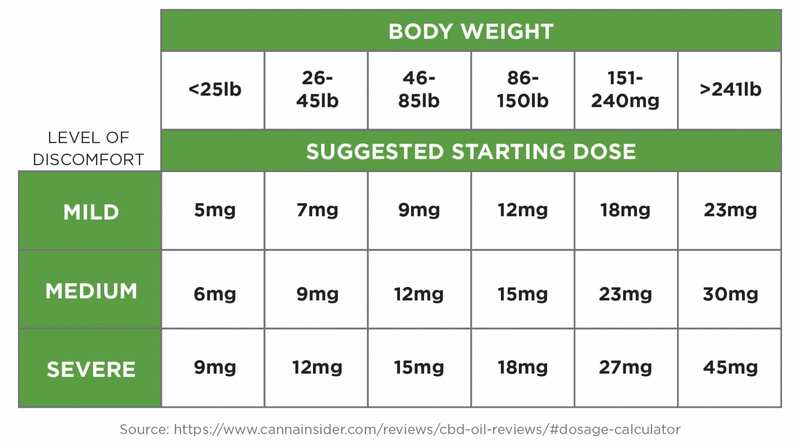 Click here to use CannaInsider‘s CBD Dosage Calculator and determine what your proper starting dose is! Disclaimer: Remember to always consult your medical professional before taking any substance for medicinal purposes. 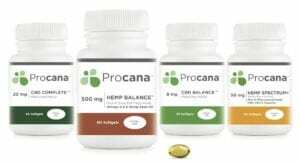 Procana makes no claims to diagnose, treat or cure conditions and/or ailments. Research, studies and articles posted on Procana blog are for informational purposes only. The above statements have not been approved by the FDA. 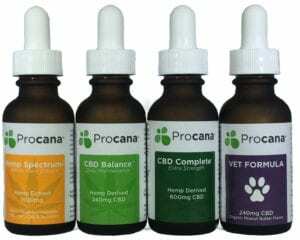 Please consult your physician to determine if Procana is right for you.